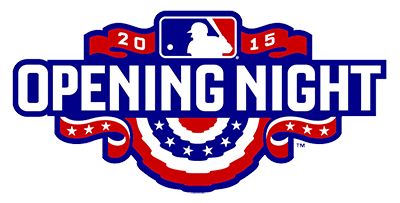 We still have all day to wait, but at last the 2015 St. Louis Cardinals regular season begins tonight. It’s been 170 days since Oct. 16, when Game 5 of the NLCS and the 2014 Cards season ended. Much has happened since then — good, bad, tragic — but we made it. And now the long journey of the baseball season begins in less than 12 hours. As die-hard fans, we understand the marathon that’s about to begin and the sometimes grueling six months that are ahead. We look forward with anticipation, even though we know the journey through April, May, June, July, August, September and hopefully late into October won’t be easy. So remember the big picture of your love for the Cardinals when things annoy you throughout the months ahead. Because things are going to happen over this long season. The Cards are going to lose games — sometimes in terrible, frustrating and even unfair ways. Mike Matheny is going to make stupid moves. (Hopefully not tonight, though.) Every guy on the team is going to make an error. Every guy on the team is going to strike out, and probably look really bad doing so from time to time. Every pitcher is going to have a rough outing. Every pitcher is going to have at least an inning where nothing he throws is going to be a strike. 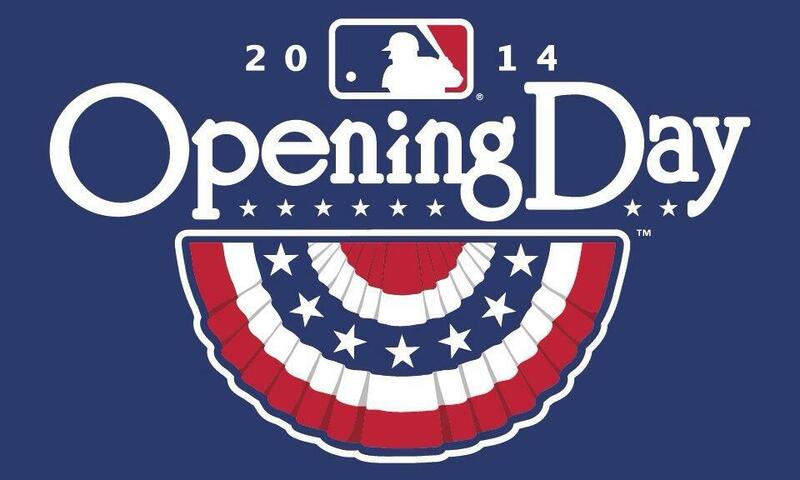 Sure, the official start to the 2014 Major League Baseball season was last Monday. Or last Sunday night, or March 22 in Australia — take your pick. Yes, it’s true the St. Louis Cardinals have played six games so far. None of that matters. 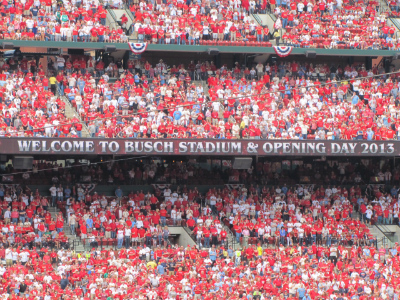 Today is when the season officially begins, for this afternoon is the home opener at Busch Stadium. Real baseball, at last. There’s nothing any of the other 29 teams do for their opening days that comes close to how the Cardinals kick off the home season. Now, I haven’t been to one everywhere (although that sounds like an amazing addition to my goal of getting to a game at all the big league ballparks, doesn’t it?) but I’ve caught bits and pieces of highlights and games, plus have been to several Cubs opening days in the past. And I’ve attended two Cardinals opening days. St. Louis just does it best. The Clydesdales, the Hall of Famers, the parade of players around the track and just the overall atmosphere — goosebump-inducing, each and every year. Whether you’ve been to Busch Stadium to experience it in person or just watched on television, you know what I mean. That’s the beauty of Opening Day: new beginning, fresh start, all those cliches every sports columnist and blogger trots out every year just for today because those too are part of the baseball tradition … even though the Dodgers have already played three games, the Diamondbacks two and the Padres one. Today, though, is Opening Day for real, because the Cardinals are playing. And that’s what we’ve been waiting for. Daydreaming and counting down to Opening Day is what got us through the very long and very awful winter with so much snow and Polar Vortex cold which all seems far in the past with the ground now clear and the temperatures warmer. But, finally, here we are. Our Cardinals are taking the field at last and facing off against the Reds when 3:10 p.m. Central Time arrives. Yeah, Johnny Cueto is starting and we all rightfully hate him and we’ll no doubt have to hear from Danny Mac and Al what a terrific guy Brandon Phillips is, just like they tell us every single Cards-Reds game, and they’ll have to mention August 2010 and all of that and still talk about Dusty Baker even though he’s gone — but it will be Cardinals baseball and we will be watching it again. Therefore, it’s good. Ah, Monday morning … right after Daylight Saving Time begins. And just when we were beginning to enjoy the fact it was brightening up after 6 a.m. Patience is now needed again for the longer days ahead. 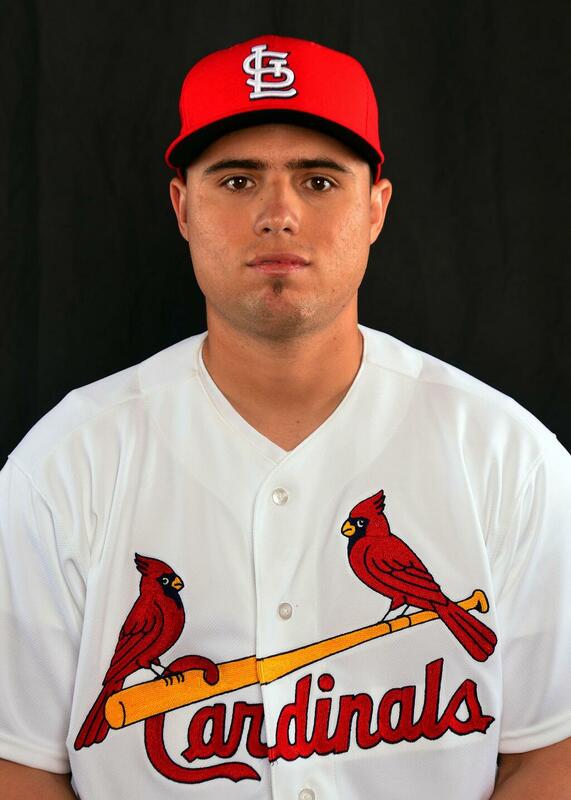 Joe Schwarz at Viva El Birdos also has been covering Diaz in-depth since he first worked out for the Cardinals several weeks ago. Headed to Jupiter, Fla., to see the Cardinals spring training games at Roger Dean Stadium? Forbes reports that the Cardinals have the 10th most expensive spring training tickets, with an average price of $50. The teams with more expensive tickets, in order from 9 to 1: the Astros (perhaps surprisingly? ), the Twins, the Phillies, the Cubs (which is perhaps not a surprise — have you seen there new spring home? ), the Yankees, the Giants, the Rangers, the Braves (who train at Disney World) and, of course, the Red Sox with an average price of $79. Ah, Opening Day. Just hearing those magical words brightens your spirit, right? 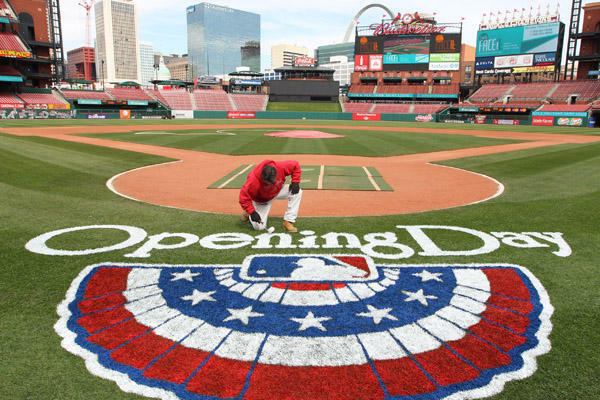 Only 33 more days until Cardinals baseball officially begins for 2014, and only 40 days until the real Opening Day, the Cards home opener. 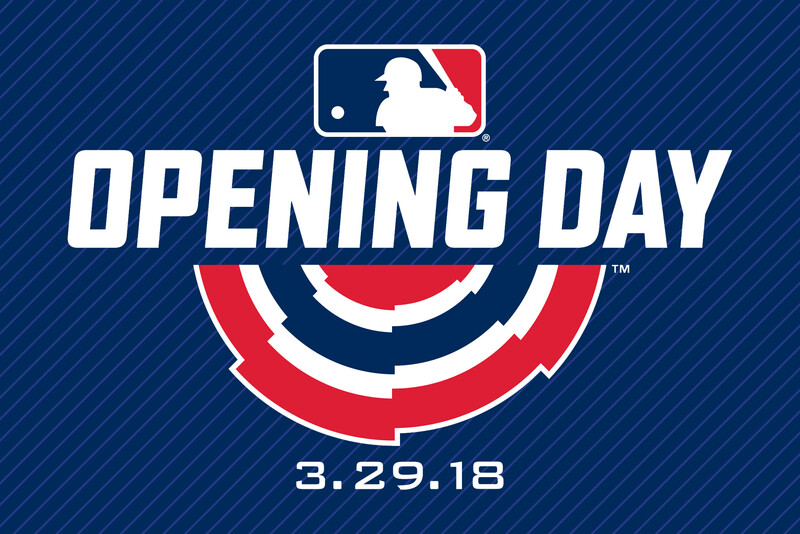 A friend has joked for years that Opening Day should be a holiday, which I absolutely agree with — especially since I usually take the day off anyway (actually, days, since the Cards seems to open on the road far too often in recent years). And now Ozzie Smith and Budweiser are leading a charge to officially make it so. “Play ball!” make all good once again.